Unlike conventional medicine, which focuses on attempting to treat disease once it occurs, Dr. Allison Ross emphasizes on improving your health in an effort to reduce the risk of pain and illness in the first place. Most people would rather be healthy and avoid illness, if they could. For some, Ross Chiropractic will take them back to a place that is cozy and familiar, offering a rediscovery of health and wellness that had been previously known but long lost. For others, the journey may offer a new center, one never before experienced. People are recognizing the benefit of seeking an alternative to traditional medicine; one that will help them achieve and maintain optimal health. Please take the time to meet Dr. Allison Ross and David Campagna, and our wellness network dedicated to helping you achieve your wellness objectives. To fully understand the nature of your health we recommend you join our free website membership program. As a patient at Ross Chiropractic we will personally tailor a wellness program specifically targeted to your wellness needs using the least invasive yet highly-effective techniques and services. Dr. Allison Ross is a Palmer West Chiropractic College graduate. She has been in practice for 9 years at her clinic on Winchester Blvd. She uses a 'whole body approach' when taking care of her patients. By combining hands-on- technique, physiotherapy procedures, and providing clinical nutritional counseling, Dr. Ross is able to help you to accelerate and/or maintain your journey to good health. Ross Chiropractic is a family practice. 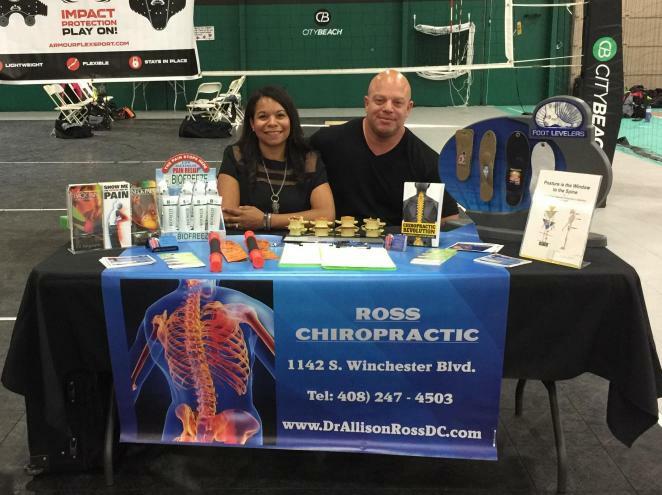 David Campagna and Dr. Allison Ross work together as husband and wife, to promote the health benefits of Chiropractic care. When they are not at Ross Chiropractic, they are spending time with their two boys, Lucas (5 years old) and Dominic (3 years old) ; and two dogs Rocco and Mugsy. Dr. Allison Ross featured this book. 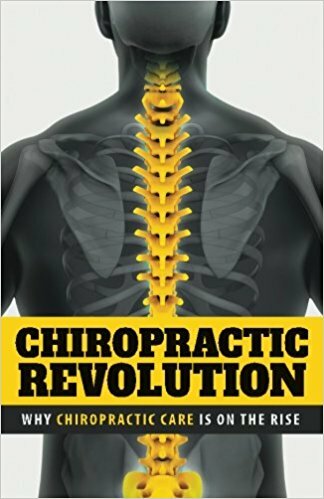 Recently Dr. Allison Ross was chosen to be featured in a book called:Chiropractic Revolution-Why Chiropractic care is on the rise, written by Andy Curry. Dr. Ross is the featured Chiropractor in Chapter 2, where she shares her insight, vision, background and personal experience with Chiropractic. The goal of the book is to encourage more people to use chiropractic care and experience to health benefits of this health care. Chiropractic has been a healthcare for over 100 years, yet many people have misconceptions concerning Chiropractic. It is our mission to educate people and share the health benefits of Chiropractic care. Chiropractic helps to promote the body's natural ability to heal itself by enhancing your nervous system. People of all ages can benefit from Chiropractic, that is why we encourage whole families to come in for care. Chiropractic helps restore and maintain optimal health and is simply the best way to get well and stay well naturally. Photo of Dr. Ross and Husband David Campagna at the 2018 Silicon Valley Roller Derby Bout at City Beach. Dr. Ross is the Team Chiropractor. 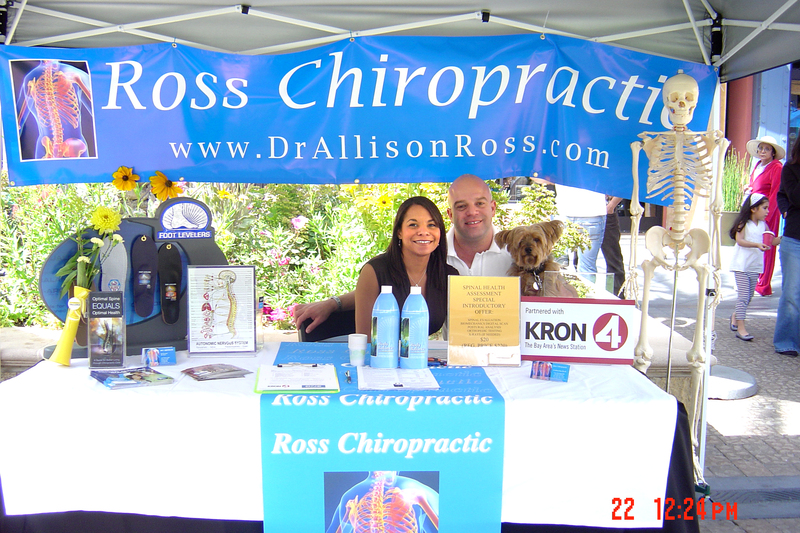 Photo taken at the 2010 Santana Row Farmer's Market.